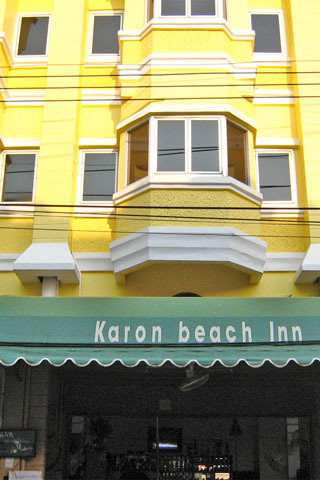 One of the dozen or so guesthouses down the the cluster of sois near the roundabout, the Karon Beach Inn stands out from its identical-looking competition by actually offering some pretty attractive rooms. From the shopfront reception area you ascend a shiny new wooden staircase to the 19 rooms above. They’re spacious, bright, clean, and, for the price, very well furnished. 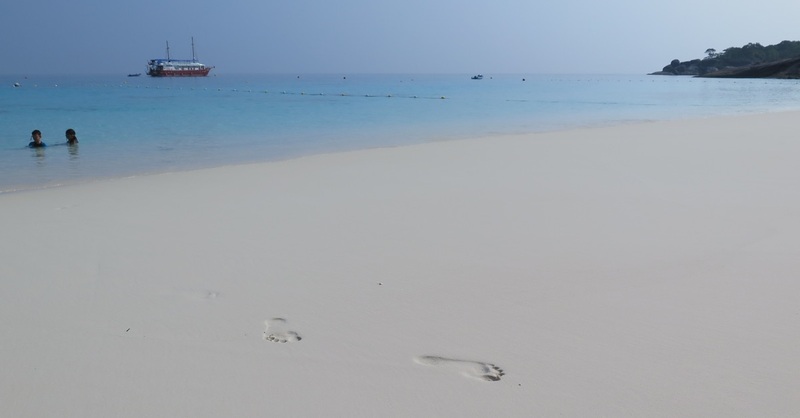 All have air-con, satellite TV, free WiFi, minibar, phone, and lots of windows to let the sun shine in. All the beds have those awful brown army blankets that are for some reason are still popular in Phuket. The cheaper rooms are 99% as good at the superiors and suites — they’re just a bit smaller and don’t have a sofa. Some of the staff are very helpful but others we encountered during our 2011 visit seemed very confused. Motorbike rentals, airport transfers, and tour options are all available. Add 100B/person for breakfast.